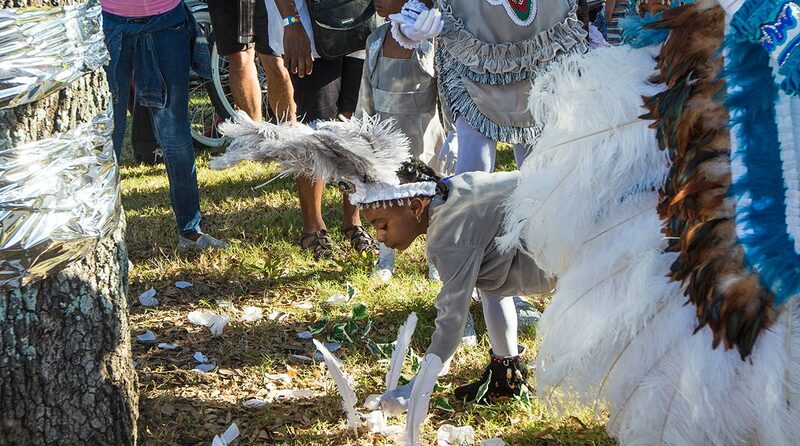 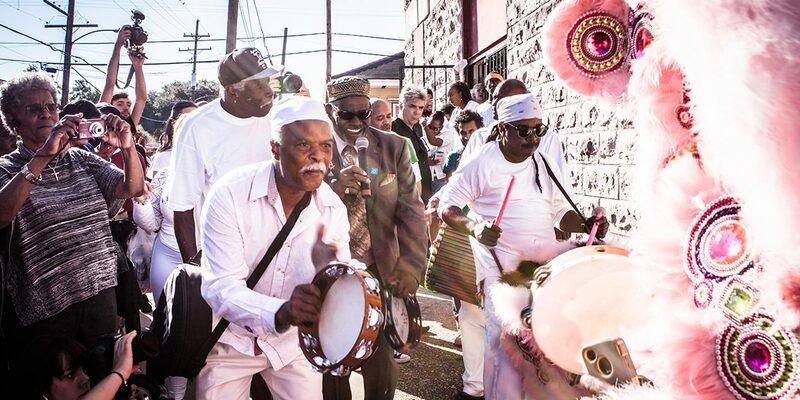 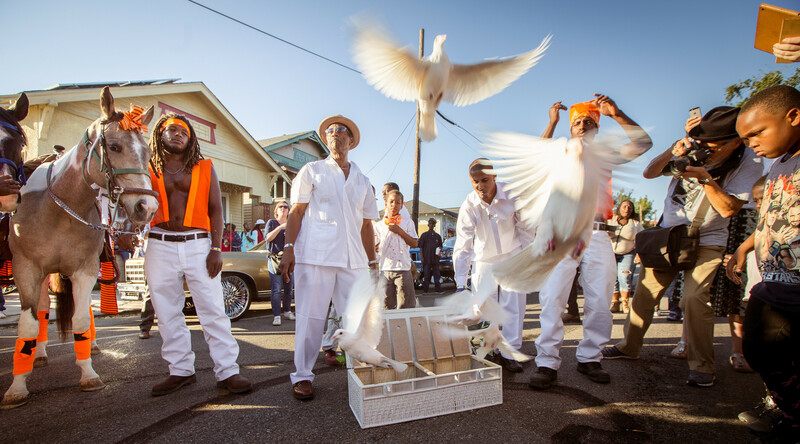 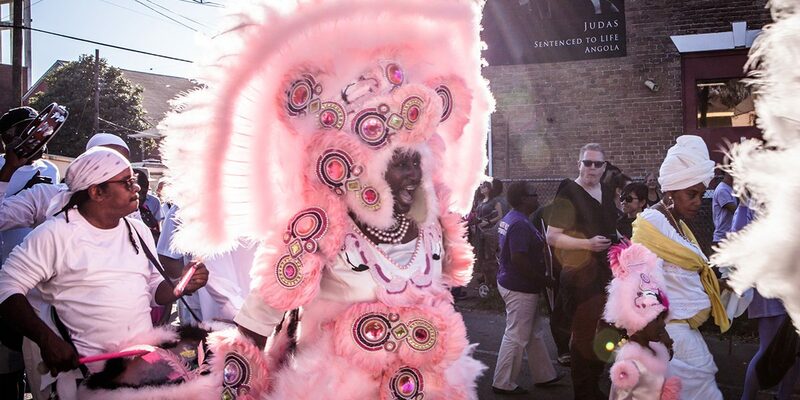 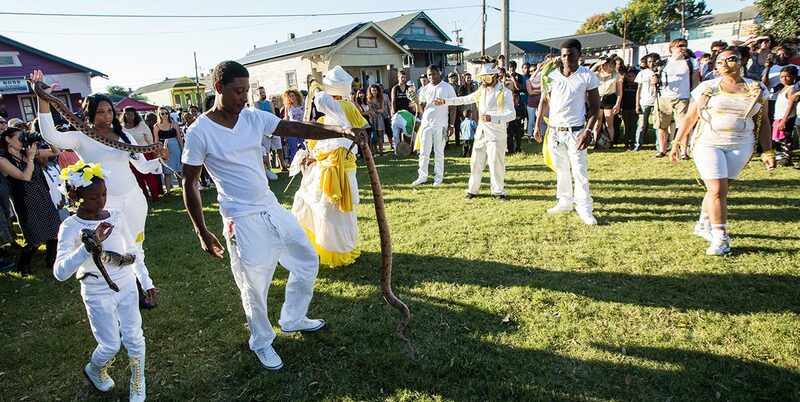 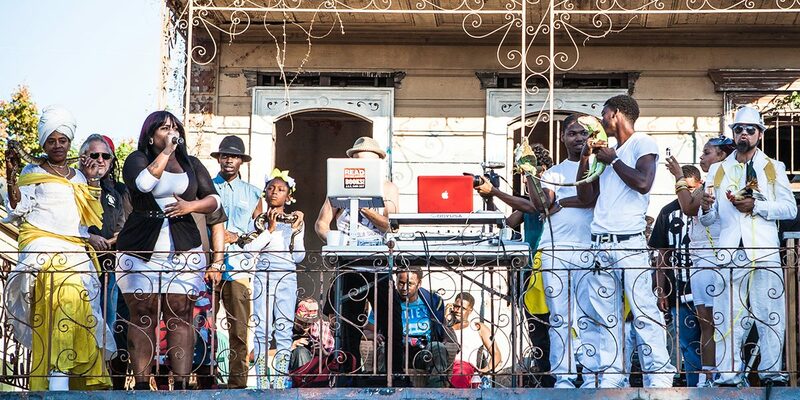 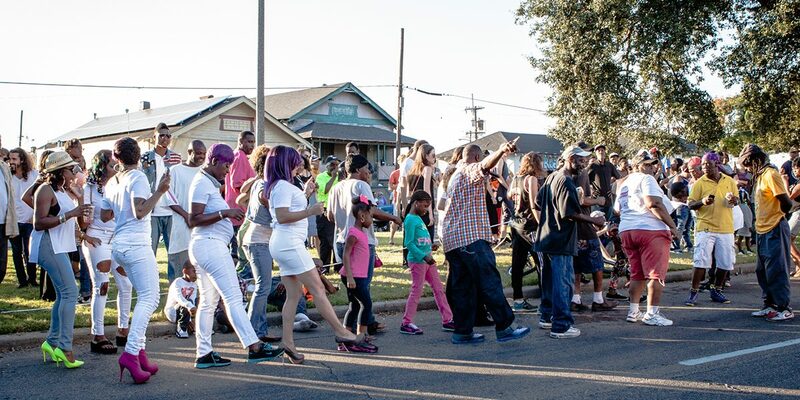 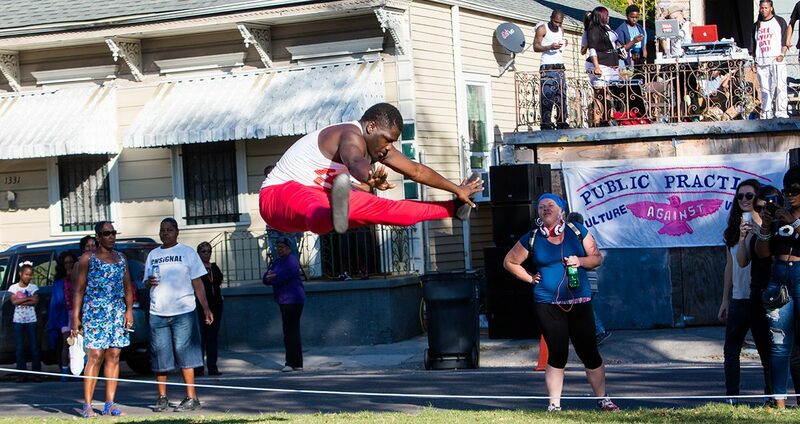 Public Practice was a spectacular 90-minute afternoon street performance of New Orleans diverse public ceremonial culture that sought to counter common representations of crime-ridden neighborhoods. 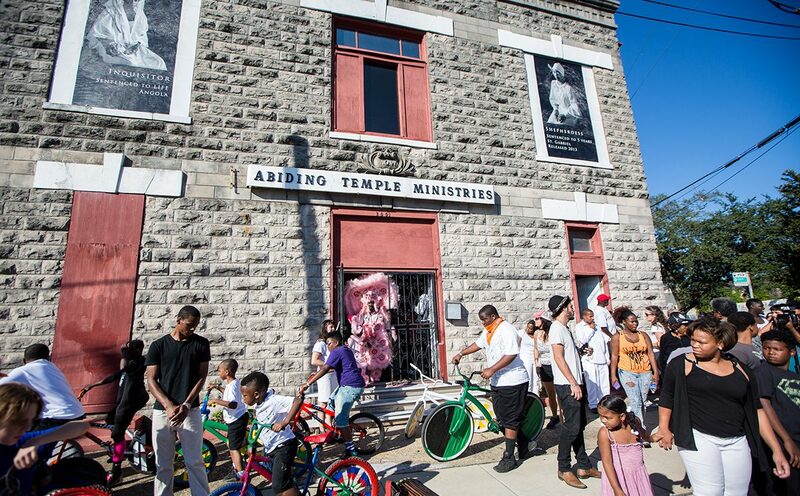 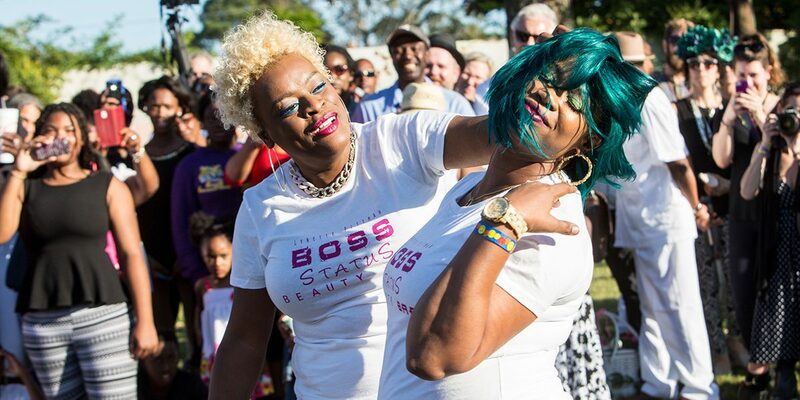 This people-powered event showed alternatives to guns and violence by highlighting creative and nurturing community practices coming from within. 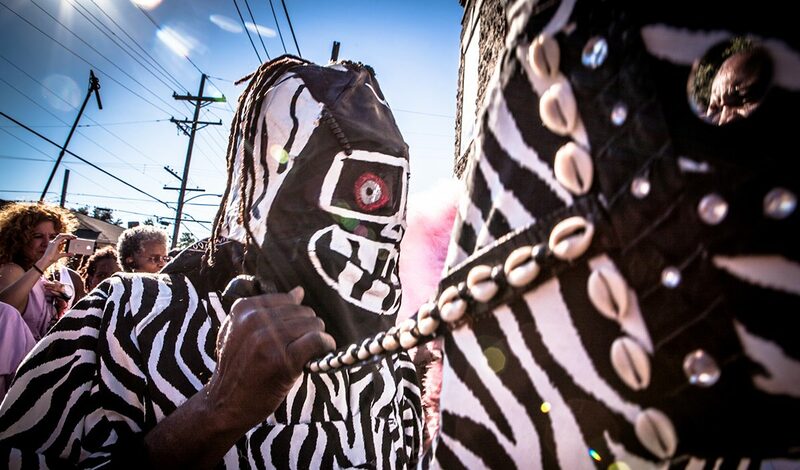 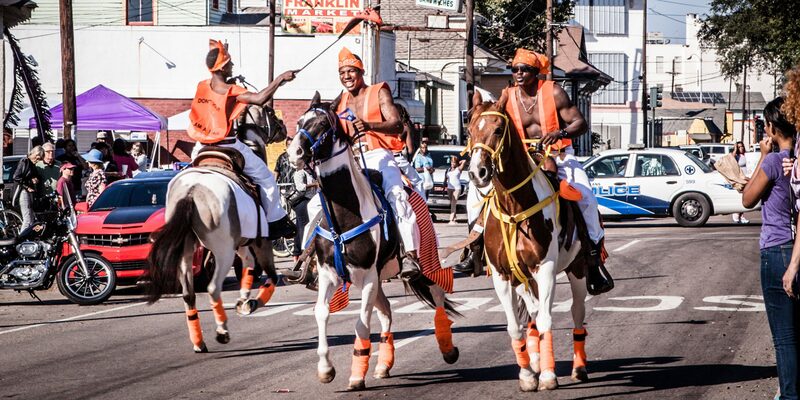 Collaborators included horse riding clubs, motorcycle clubs, juvenile bike clubs, a high school drill team, city rappers and Mardi Gras Indians queens. 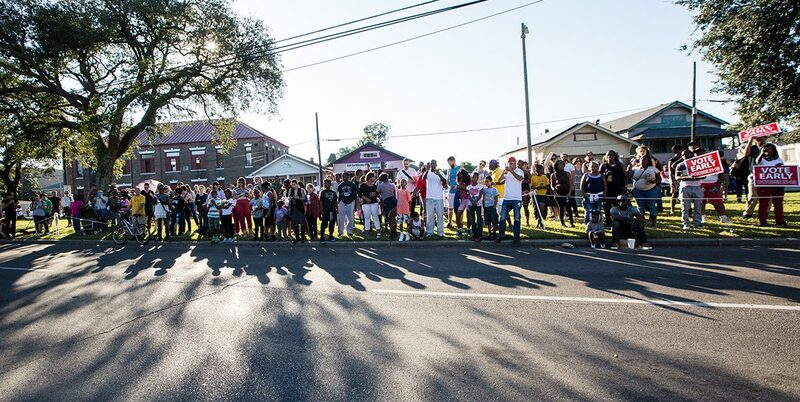 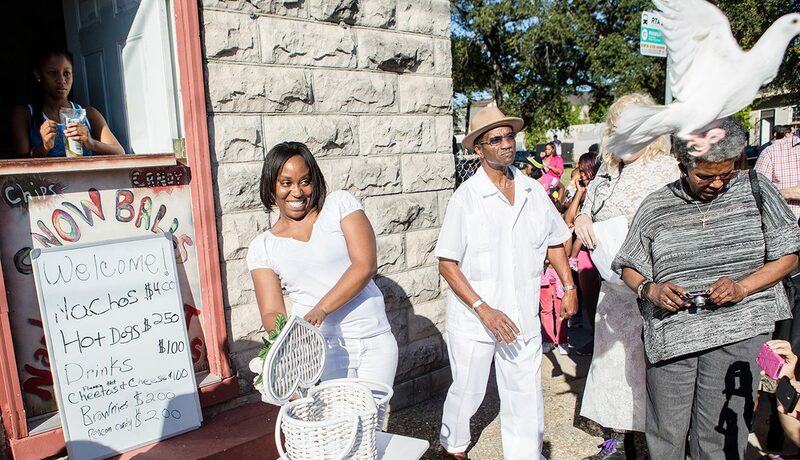 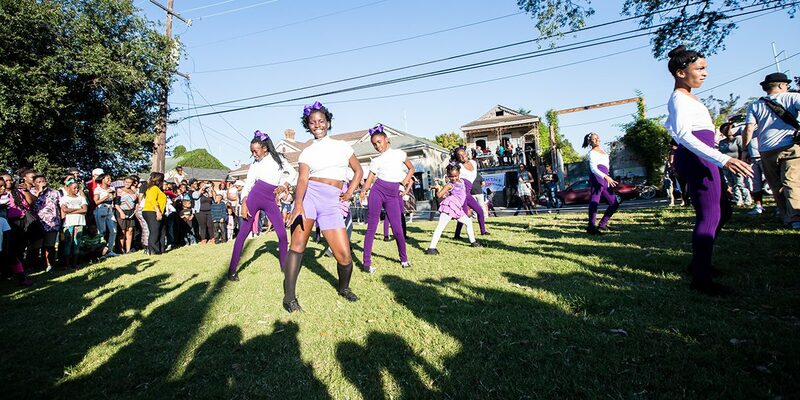 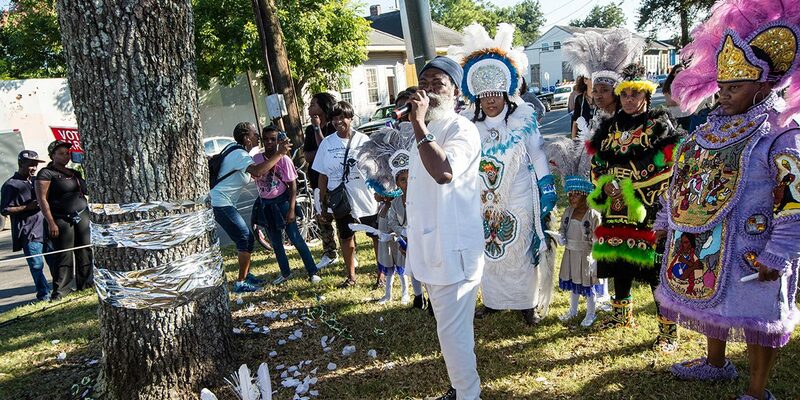 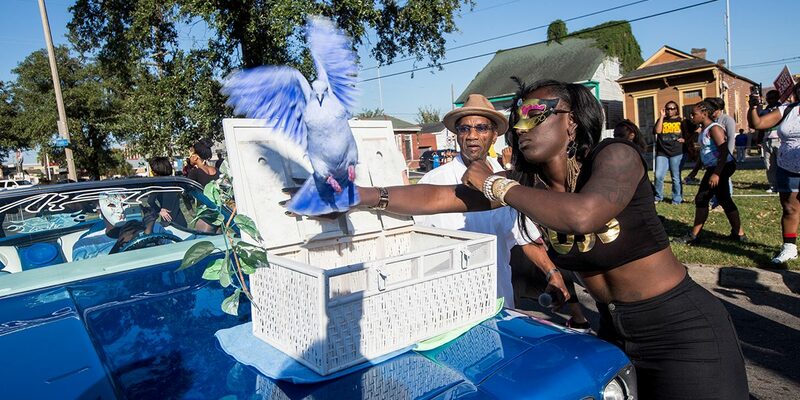 Over 100 participants were encouraged to largely self-direct their roles for this choreographed display along Franklin Avenue, the fractious border of the St. Roch neighborhood. 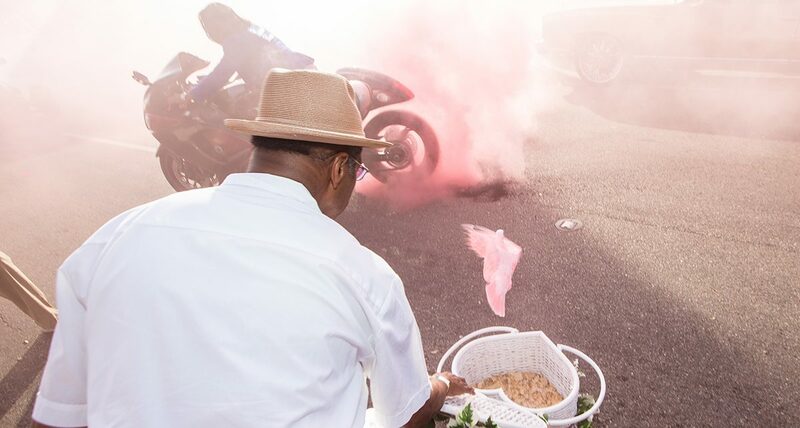 For example participants picked their own songs or sounds that were turned into a soundscape for the unfolding event by hip hop producer Paulus. 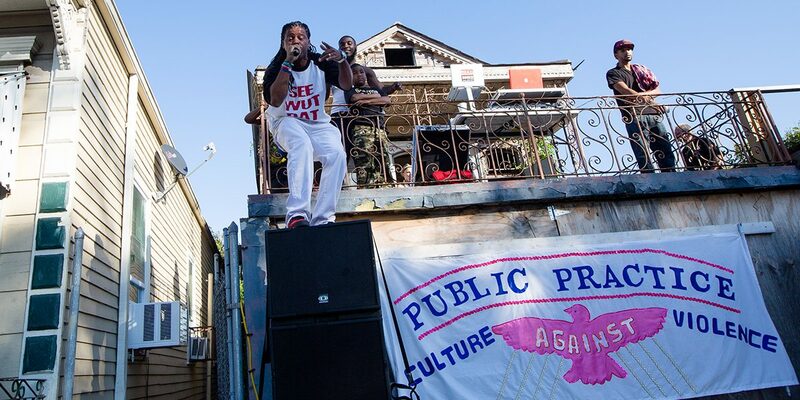 Highlights of the day included the Caramel Curves all-female motorcycle club’s pink smoke, multi-colored dove releases by Big Chief Dalcour and his Serenity Peace Birds, rap performances by 5th Ward Weebie, Miss Tee, Sess 4 5 and Keedy Black who rapped from a convertible surrounded by her KB dolls youth dance troupe, and an amazing routine by Boss Status Beauty Salon featuring the local shop owner Lynette and her models. 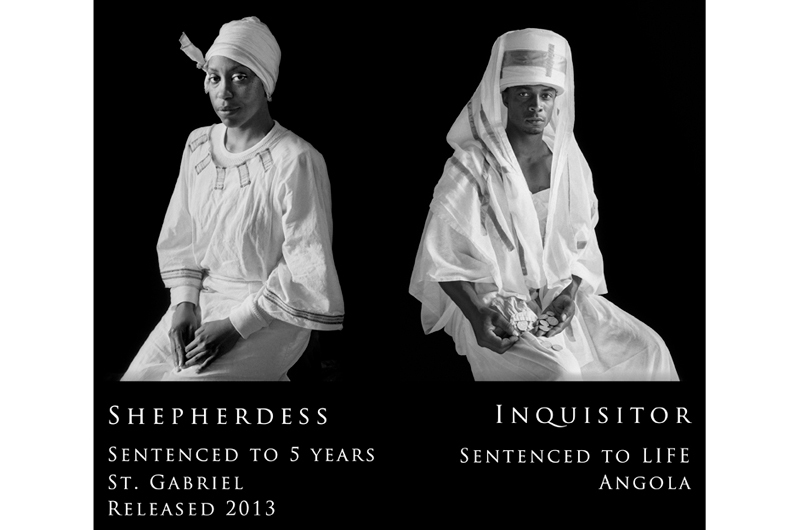 A delegation of Black Indian Queens supported recently released inmate, Taece Defillo, as she read a poem about her incarceration directly underneath Deborah Luster’s stark black and white portrait of her as the Shepherdess in Angola Penitentiary’s annual Passion Play. 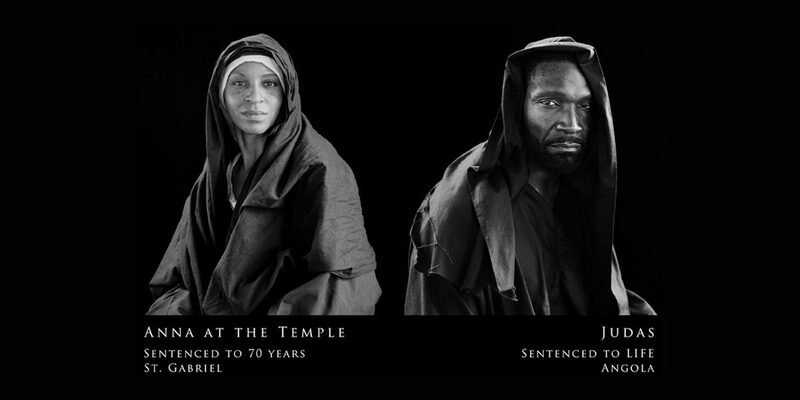 Luster’s photos of Taece and other cast members remain installed on the outside of the Abiding Temple Ministries with their characters names and sentences printed below – a complex statement on the nature of redemption and transformation. 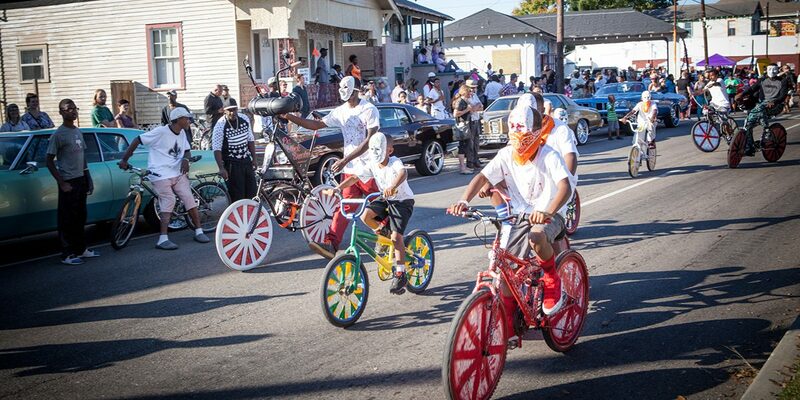 Many meetings and workshops occurred in the lead up to the event, including mentorship opportunities for neighborhood kids at a trick-your-bike workshop with Twon, president of a car club, and a trip to a horse riding stables to learn how to care and ride horses with the 504 Boyz. 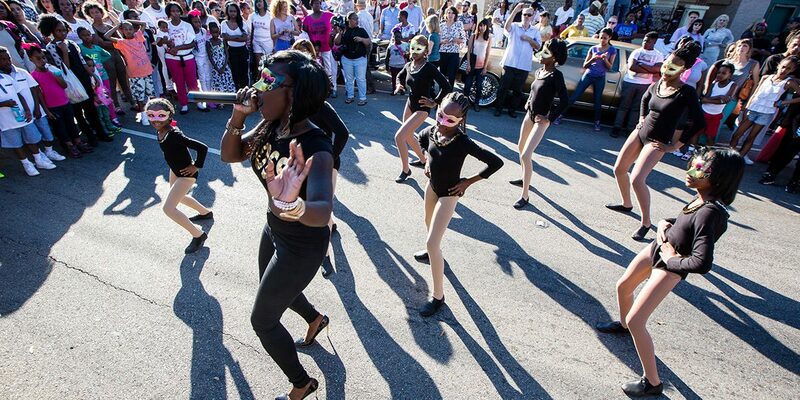 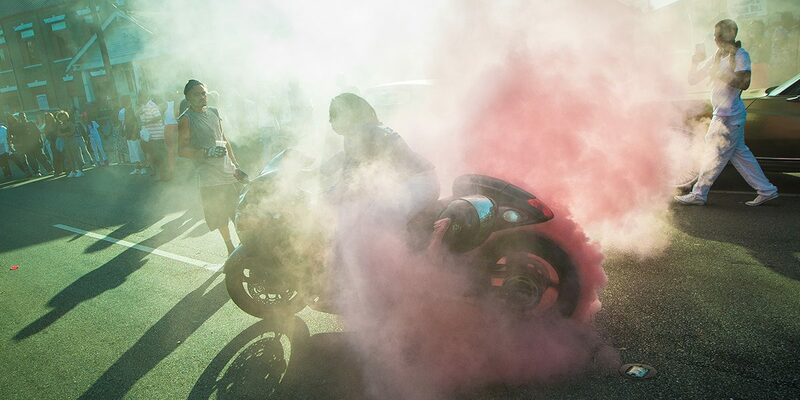 Not only did the youth have prominent roles in the performance of Public Practice, the lasting effect of these workshops can be seen on the streets where the newly formed “St. 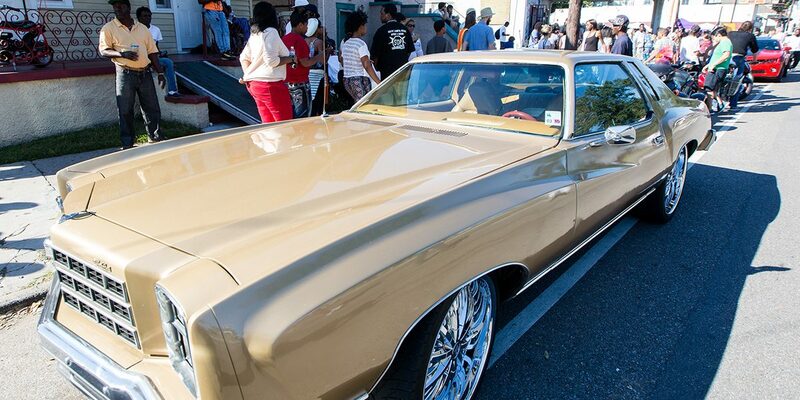 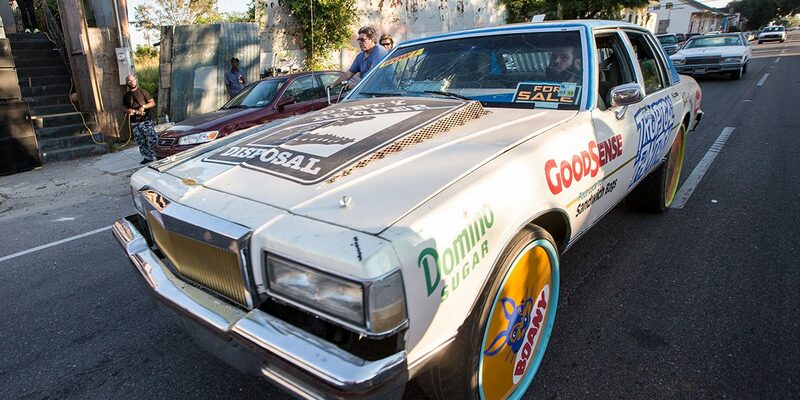 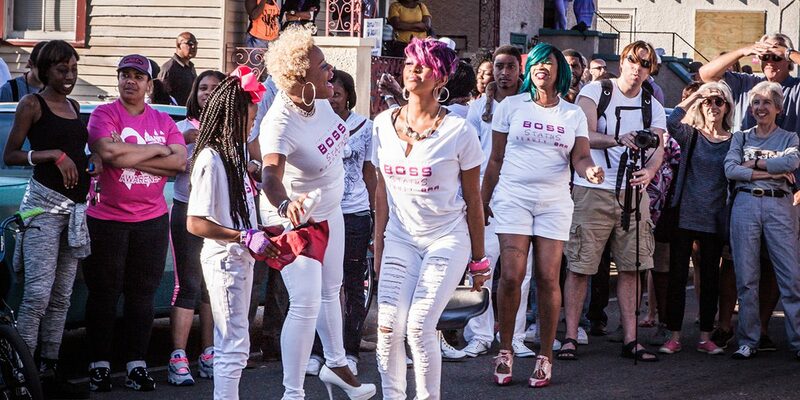 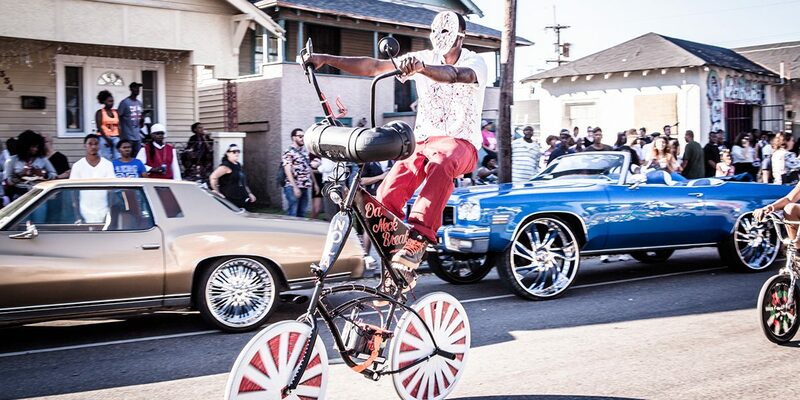 Roch Scrapers” regularly ride with their mentor Twon on weekends, dazzling the city with their pageantry and pride. 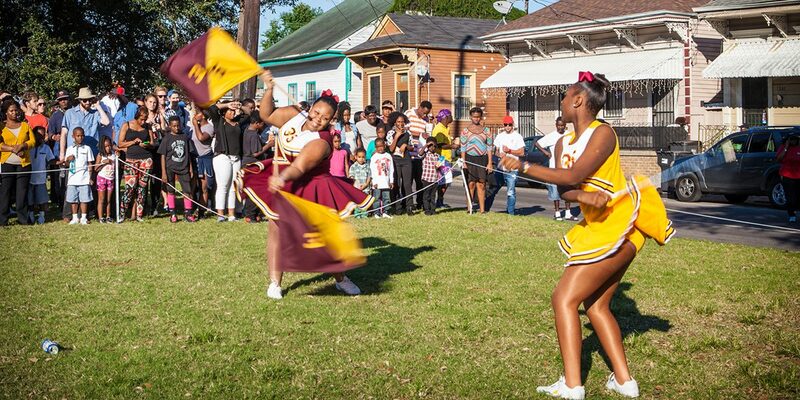 Grades need to be kept up if they want to roll out.